We’ve changed the tune of our UFO Retreat. We’ve lowered the price and decided to focus on what’s most important… SEWING! We want all of our “Sew-It-All” friends to join us as we Sew-It-All Weekend! With the holidays fast approaching we want you to ♫ “Sew it all – Sew it all – Sew it all the way!” ♫ Think of this first Sew-It-All event as a Santa’s Workshop where you can bring all your last minute Christmas sewing and, well, SEW-IT-ALL! $65 includes lunch both days so you can sew non-stop at our retreat center. You will also receive a Sew-It-All pass good for exclusive discounts at the shop during the event! Bring any sewing project that needs finishing and Chris & Jen will be there to lend advice and help you trouble shoot. With two whole days dedicated to finishing projects you really can be a Sew-It-All, even during the holidays! Show-and-tell – we love to see your finished projects so bring a favorite for our show-and-tell. Sew-It-All Snack Bar – bring a small, favorite treat to share with the group (optional). Sew-It-All Pass - Exclusive discounts available at the shop through the weekend. Add supplies purchased to your Sew-It-All Weekend tab and settle up right from the retreat center in one convenient purchase! 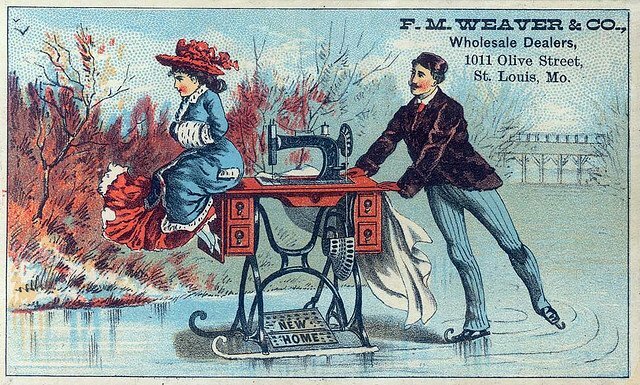 Saturday, December 8th 10 a.m. – 7 p.m.
Sewing Machine* in good working order. Don’t forget your foot pedal & power cord! Chair – If you have a sewing chair you prefer to use you may bring it, otherwise we have plenty. Un-finished project(s) of your choosing. Remember patterns, fabrics, rulers, templates, etc… as needed for your project. *Corn Wagon Quilt Co. has a few Bernina Sewing Machines that can be reserved on a first come, first served basis.